Set in Oklahoma Territory in 1906, outside the small town of Claremore, the story unfolds of a young cowboy, Curly McLain, striving to win the affections of a young farm girl, Laurey Williams. Under the watchful eye of Laurey’s Aunt Eller, young love emerges, much to the dismay of the lonely farmhand, Jud Fry. This conflict creates tension and suspense as the story unfolds. A secondary romance with the cowboy Will Parker, his flirtatious girlfriend Ado Annie and the problematic Persian peddler, adds comedic relief to this classic musical. Following on from a successful Unmasked program in term 1, the call went out for farmers and cowboys to audition for Oklahoma! The auditions brought new talent from as far as Woodend to Maldon and rehearsals began with an amazing cast of 63 from nearly every secondary school in Bendigo and beyond! Oklahoma called for a greater level of dance expertise and drew some excellent dancers and grew some too! 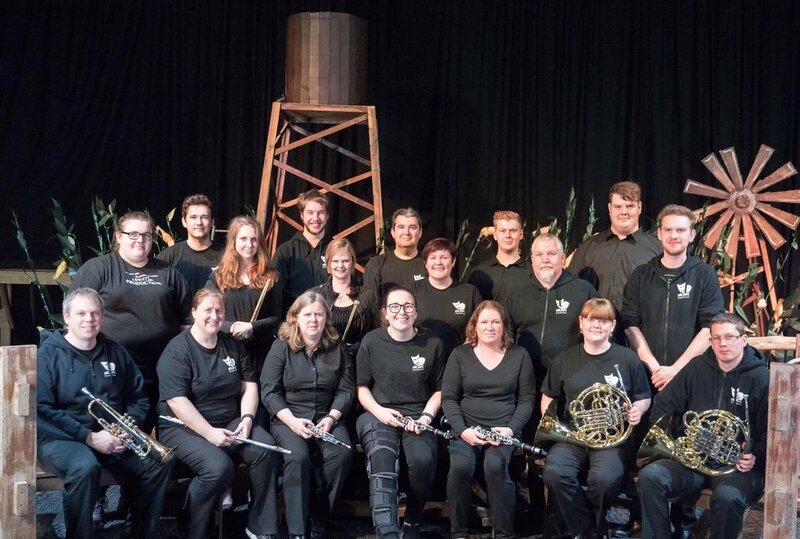 The light and shade of Oklahoma saw us on the roller coaster of laughter one moment to subdued gasp the next and called for a new depth of acting and characterization from our cast. Just like our actors on stage all have a part to play, our production team is a highly gifted group of passionate and servant hearted individuals and we thank God for each one of them, the countless hours they contribute and the creativity and expertise they bring to their role. Our move to The Capital was a highly successful step of faith that caused us all to be stretched out of our comfort zones and yet turned out to be less taxing overall on our team. The Capital, along with our enhanced marketing campaign, raised Nexus BYT’s profile in the Bendigo community and we saw an overwhelming response of support as each performance was close to sold out, quite exceptional considering that the venue accommodated 150 more seats than our previous venue. 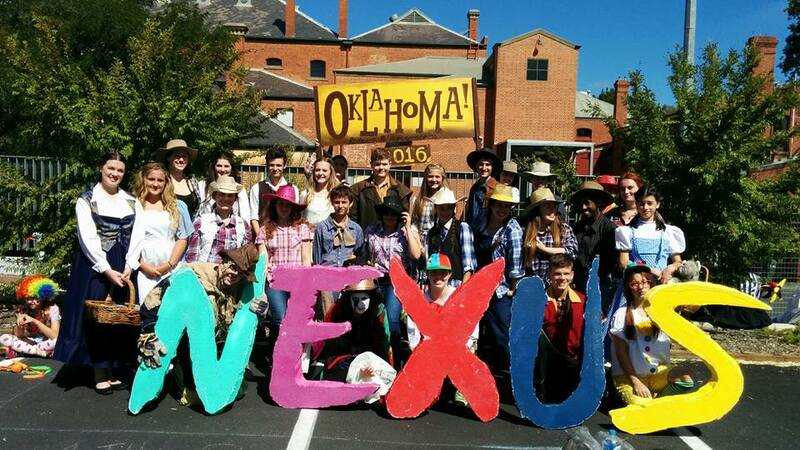 On July 8 2016, NEXUS BYT surprised everyone by performing a 'Oklahoma' flash mob at the Bendigo Marketplace & Strath Village.